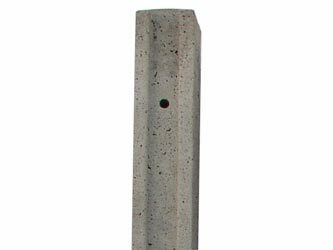 Made from reinforced 4" x 4" concrete these items are designed to offer greater durability than timber posts. These have slots on two opposite sides to simply slide and hold the fence panels in place. *Note that the 10'6" length of post is a non-stock item.